Guess what today is?  Yep, 4 years of Brooklyn Limestone. Hard to believe it. Feel free to laugh at my in ability to format my very first post written a few days before we closed. We've come a long way, baby. And if you haven't entered yet, don't forget about my photo giveaway. Entries will be closed tonight and I'll announce a winner this weekend. Wow - happy blogiversary Mrs. Limestone! Your blog looks fantastic now! I'm a green blogger and I'm learning a new blog trick each day. Congrats, congrats! 4 years in the 'Sphere is a rather mean feat. And your brownstone has morphed so beautifully into a butterfly. Happy blogiversary to you! 4 years is alot of posts. I enjoy your blog alot and hope you continue blogging, sharing and inspiring! Cheers! Happy Anniversary! I want to go back and find out when I started reading your blog...it's been a long time! What a long journey you've had! Congratulations and thanks for all the wonderful inspiration you provide! Congrats! 4 YEARS! That's crazy, but you've got this blogging thing down pat now. Hope you have a great weekend. Happy Blogiversary! I'm hitting 3 years next week! That makes us grandmas in blogging years, doesn't it? Congratulations to you, here's to many more years of blogging. Thank you for continually inspiring me. Happy Blogiversary. Thanks for all the fun and inspiration! It was hilarious reading your first post now that you are pretty much done. Congrats on the 4 years. I'm not even at 2 yet. The house is gorgeous and your blog is a delight! So happy for you! Love your site and seeing the evolution of your house! Saw you on Nate's show, what a great accomplishment! Wow, 4 years seems like an eternity in blogland. Congrats lady, you rock! You've turned a sow's ear into a silk purse. So glad you posted your journey of it on this blog. Congratulations..you have come along way...and so has your beautiful home. I have enjoyed popping in to see what is new and exciting. Thanks for sharing your home and talent with us! Wow, 4 years. That is impressive. In May it will be two for me. Keep up the fantastic blogging and congrats. Congratulations! I really enjoy your blog. Congratulations!! I know I've been reading it for almost 3 yrs....I think you have done a great job, and I love visiting your blog! Yay!! Isn't it awesome to be able to look back and see how much you've done? !